And since everyone is tight lipped and secretive, no one tells you how to get ahead or what skills to learn. Things are different here. 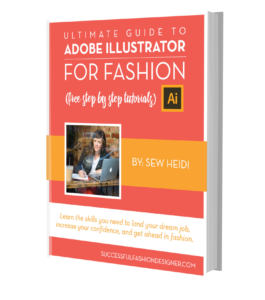 Get ALL my best tutorials + templates for free (including ultimate guides on Illustrator, portfolios and tech packs) so you can land your dream fashion job.